Pictured [L-R]: Michael Neill, Head of ALG Belfast office; Deirdre Robb, Chief Executive, Belfast Exposed; Mark Blair, Corporate Responsibility Partner, ALG Belfast; and Glenda McStravick, Marketing Manager, ALG. 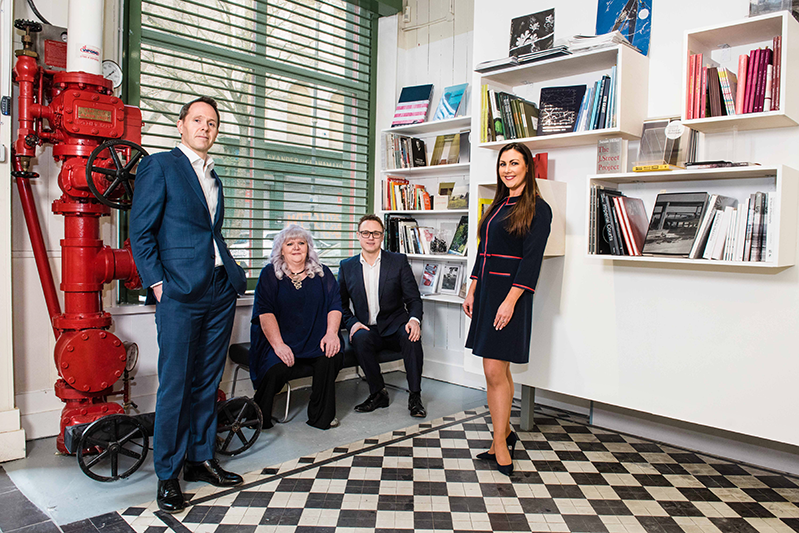 A&L Goodbody (ALG) is to support local emerging artists in Northern Ireland through a new partnership with Belfast Exposed. The partnership has seen ALG invest in the work of seven local emerging artists (Joan Alexander, Linda Conroy, Jane Cummins, Robert Ellis, Peter Evers, Yvette Monahan and Jill Quigley), with their artwork now showcased around our Belfast offices. As Northern Ireland’s premier contemporary photography organisation, Belfast Exposed commissions, publishes and shows work by artists and photographers from Northern Ireland and across the world. According to Chief Executive Deirdre Robb, the partnership with ALG will enable Belfast Exposed to support emerging artists by showcasing their work to new audiences. “Our vision is to enlighten our world through the power of photography, and we believe this should extend across every environment and aspect of life – from galleries and public buildings, to the boardroom and office environment,” she said. “As an international law firm we regularly advise clients across the world on inward investment into Northern Ireland. Our compelling proposition as an outstanding region in which to live, work, learn, visit and invest is only further enhanced by our tremendous pool of talent in the arts and creative industries, among other sectors.